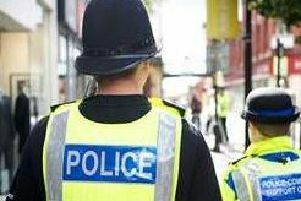 Nigel Mungur, 40, a former immediate response officer with Lancashire Constabulary, pleaded guilty to misconduct in a public office, conspiracy to commit misconduct in public office, money laundering and unauthorised access to a computer in November 2015. An investigation launched in 2014 by Lancashire Constabulary’s Professional Standards, Integrity and Anti-Corruption Team found Mungur had accessed over 20,000 accident logs over seven years, selling the information on to John Helton, 37, who worked for Liverpool based law firm GT Law. The investigation followed a number of complaints from members of the public that they had been contacted by the law firm to discuss making a compensation claim. However, police say they had not disclosed their personal details to anyone outside the police. A Proceeds of Crime hearing at Chester Crown Court on Tuesday, May 8th heard Mungur had made more than £367,000 from the scam. His lawyer argued he did not have the means to repay the money however a Confiscation Order will remain in place until the full amount has been repaid. John Helton had previously been given a £115,000 Confiscation Order. Det Supt Pete Simm, head of Lancashire Constabulary’s Professional Standards Department, said: “Today’s hearing sends out a clear message that no-one working within Lancashire Constabulary will be allowed to profit from corruption. “Police officers and staff are hugely privileged in terms of the data they have access to and members of the public should be able to trust the integrity of that data. “Nigel Mungur clearly and blatantly breached the trust placed in him as a serving police officer. In October 2017, Mungur was jailed for five years for his offences at Chester Crown Court. This was later reduced on appeal to four years. Helton was sentenced to two years, suspended for two years, after admitting conspiring with Mungur to convert criminal property (money laundering) and commit unauthorised access to a computer, and Mungur’s wife Nicola Mungur, also a former police officer with Lancashire Constabulary, was handed a conditional discharge after admitting a data protection offence. Both Mungur and his wife were dismissed from the force in March 2016 for gross misconduct. Ben Fletcher, Director of the Insurance Fraud Bureau, which assisted the investigation, said “This result is another victory in this shocking case. Mungur used his position as a trusted member of the police to capitalise on other’s misfortune, by selling their information illegally to companies that encouraged fraudulent insurance claims.